The most interesting category for map creators is building category. Here map creators can find a lot of material for maps: warehouses, silos, gates, fences, trees, shrubs, factories, beehives and much more stuff. With these buildings anyone which works with map editing software can change a map: add new buildings, add new functions or remove it. Placeable building mods – these buildings can download and put in the game every player or modder. With this type of buildings, no needed to know any modding knowledge or have a software. 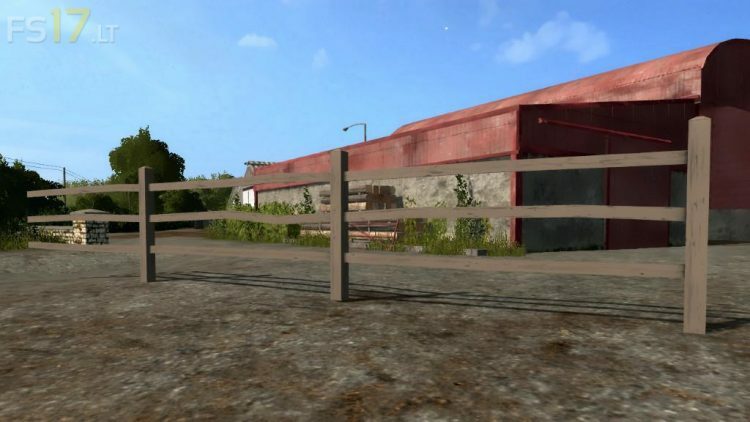 Most often placeable mods are fences, gates, wind power plants, solar power plants, greenhouses, water barrels, seed or fertilizer boxes and other buildings. If you want to add some building to your favourite map follow these steps: 1) download a building, 2) put it in the “mod” folder (like all mods), 3) activate it in the game, 4) buy building mod in-game store, 5) with in-game tool put the building where you want, 6) it’s all, enjoy it! When you want to remove placeable building mod, go to the in-game store and sell it. Static building mods – this type of buildings to put in the game is a little harder than placeable. For these mods you must to have a map editor software and some mapping knowledge. Usually, static buildings are various houses, fences, storage areas, warehouses, large factories, stores, seaports, train stations and other large buildings. So, if you are Farming Simulator player and do not have a modding knowledge, firstly try placeable FS 19 mods, which will improve your game without and efforts.